SUNNY JACK BY JIMMIE EDWARDS. DOCTOR JOHN HART. BISHOP OF ACHONRY. BY CAROLAN. 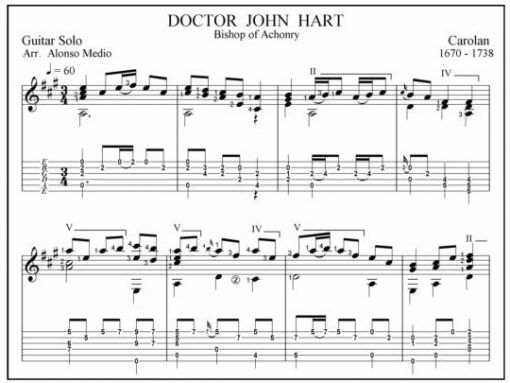 Location: /Sheet music/Guitar Series/DOCTOR JOHN HART. BISHOP OF ACHONRY. BY CAROLAN. The Bishop was a much loved, kind, and hospitable man for whom Carolan wrote this song sometime in the early 1730’s. 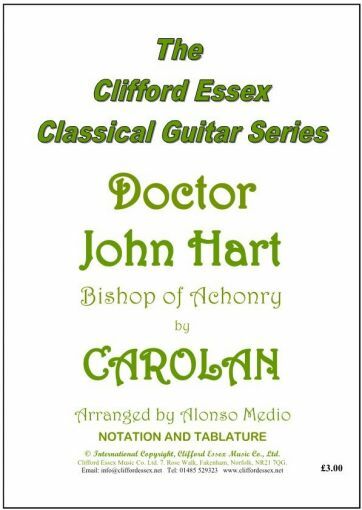 The melody is one of Carolan’s best, and there are no particular difficulties in this guitar arrangement. BMG - The quality magazine for musicians.